So, it's been a bit of time since i've posted anything, anybody would think that i've been too busy, too busy to do this and that's true and quite false too, let me explain. I'm back in Sydney, i have a bike, it's been broke, fixed, broke, fixed, it goes on and on, and thats another story, maybe i will write something serious about it some time and make a million $$? 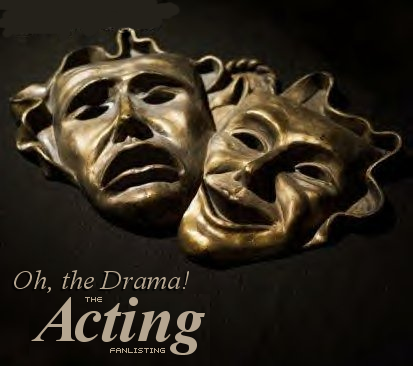 The bike was a lot of drama, and guess what else is drama? So, there is lots of things on, I'm now doing an acting course on Saturdays and I'm doing it, that means i get out and about, Saturday and every other day in between and i've moved to a posh hostel and now i'm too busy to look for a normal house, and i dont really care, maybe i should care? Maybe it's me, maybe i grew up on a farm, maybe i like making hay when the sun is shining and shine, it certainly is, but not for long, the Sunshine that is. So the rush is on, i want to squeeze every last bit of sunshine from the sun!! I'm anticipating the times when i'll be looking out the window (just like school) and a crow is coming into land, swooping down on a bit of bread, a teacher once said i would get a job in flight control at the airport and my life isn't over yet!! So about 6 weeks ago i started getting punctures, and when it rains it pours and it rained a bit too, it was like a torrent of punctures (and rain), i rose to the challenge, when i started getting punctures on the inside of the wheel. I knew something was up, after repairing 4 of those, i just came to the conclusion that the wheel was from hell and the sooner it went back there, the better, after repairing 12 or so holes, it was game over, i was done repairing, i was on a path of destruction, hey if you cant beat them, join them. 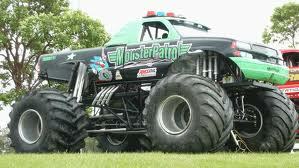 It would have been less maintenance having a monster truck! 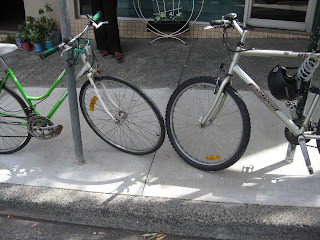 It would seem like a simple task, to replace the wheel, but on further investigation, i concluded buying a new wheel in Sydney can cost anywhere from $100 up to as much as you like, in $$$. 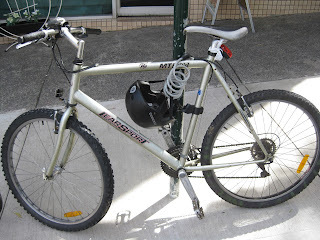 The first day i had off, i went to the bower, in Marrickville and in reverse garbage, i found a wheel, tube, and tyre, all for $5 and put it on myself, then i realised since the old wheel was old, and the chain was old, i would have to get a new chain. This was proving too much, so i had it professionally done while i drank coffee across the road. Look, a happy ending, i think my bike got a girlfriend!!! Longtail? Long winded more like! But I have to give credit where credit is due. It's a good read. I'll read some of your earlier posts later on. I have gotten a feel for a spot of blogging myself of late. Some thoughts have been running through the old noggin and I wouldn't mind jotting them down. First up......Wesley Disco Moist Fingers.... Keep it up buddy and keep living the dream.